Happy New Year! As you begin to consider what your personal resolutions for 2018, consider goals you would like to achieve for your home. Do you have the time that will be required to complete the project? If your answers indicate that you should hire a professional, the next question is which one is the right one? Start 2018 in the right direction by hiring the experts at Wineteer Construction. 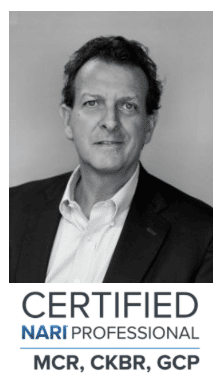 President and CEO Mike Dodd holds three NARI certifications: Certified Kitchen and Bath Remodeler (CKBR), Green Certified Professional (GCP) and Master Certified Remodeler (MCR). He is one of only three people with this distinction in the Kansas City area. Contact us to schedule your free consultation and achieve your 2018 remodeling resolutions!